The creators of a gigantic total conversion mod for Fallout: New Vegas have delivered a progress update. Fallout: New California, intended as a fan-made prequel to New Vegas, has been in the works for over seven years now (though it’s only been a properly announced project for the past five years). New California‘s developers celebrated the fifth anniversary of their project by releasing a narrative trailer for the mod, and a solid release date. Fallout: New California takes place in the ruined city of Los Angeles, with players taking the position of a resident in Vault 18. After what looks like a bit of a crisis in the vault, player characters emerge into the ruined world amidst a power struggle. 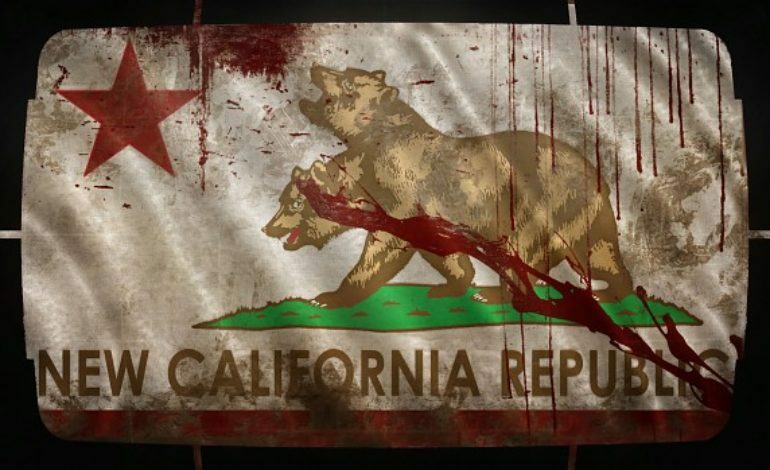 In the trailer, the New California Republic, the Survivalist Army, and of course the Supermutants, are squabbling over territory with the player character caught in the middle. The player’s actions “shape the politics and events leading to the NCR’s invasion of the Mojave,” according to the mod’s Mod DB page. New California takes place in 2260, roughly 21 years before the events of New Vegas. Beta sign-ups to test the mod will be available in July, though only the main quest line and associated areas will be playable in the beta. Fallout: New California‘s full release (though they’re still calling it a Beta 2.0.0 release) is happening on October 23, 2018.